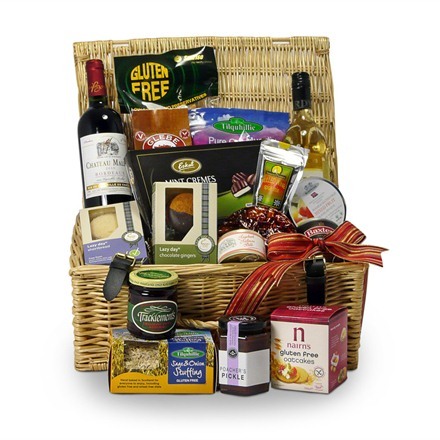 Glutenfreehampers.co.uk is the newest branch of our family business which specialises in delivering the very best food products to your door. Our customers have been asking us to design luxury gluten free hampers for some time and here they are! We really hope you like them. All our hampers are hand packed to order whether you choose from one of our specialist hamper baskets or create your own selection. Add that extra special touch by including a personal message and you will be sure to make someone in your family friend or a close colleague very happy indeed. Best of all, gluten free hampers are a healthy choice. With the festive season nearly upon us, the Luxury Gluten Free Christmas Hamper is the perfect way to have a healthy hearty Christmas. They make great corporate gift hampers too. We will be using this blog to share special gluten free offers, chat about our scrumptious gluten free brands and to answer your questions, so please follow us (by adding your email in the box to the right), and get our latest news in your inbox.